Thinking about working at a Summer Camp? 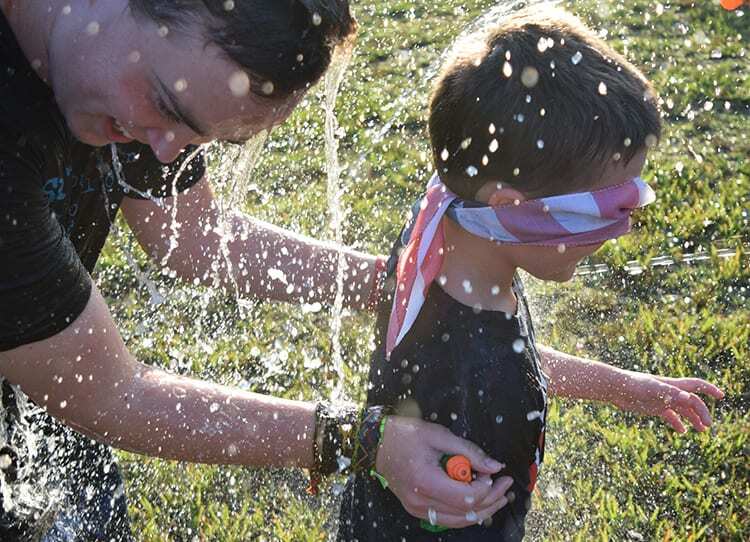 If you’ve never worked at summer camp before - first of all - YOU’RE MISSING OUT! But really, a summer job at a camp is quite possibly one of the most rewarding and enriching ways to spend your summer. Matter of fact, some CEOs of large companies state that when they see “summer camp” on an applicant's resume’ they rise to the top of the applicant group! Summer Camp is hard work, but really at the end of the day you are being paid to hang out with kids! You’re camping out, making friendship bracelets, spending time with animals, having lip sync battles, dressing up as a dinosaur, dancing, laughing, and singing songs all summer long. C’mon. Where else can you do that?! Your first priority is your job - no doubt, but the people you are doing this job alongside will become some of your closest friends. The memories from “the night you guys stayed up until (insert hour here) AM decorating the cabin for space week" may just be the start of a speech at your camp friend’s wedding. What do YOU get out of Camp? The skills gained over a summer at camp will be incredible resume’ builders. Employers are looking for communicators, problem solvers, and those who are able to work well with others. 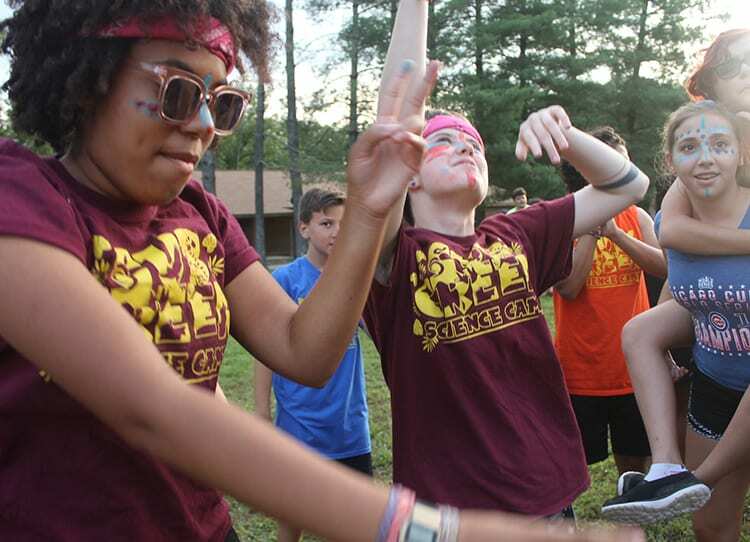 Those core 21st century skills, and many more, are ones that we build right here at camp. Teaching a camper how to make a friendship bracelet sharpens your ability to give clear directions and roasting marshmallows with 16 kids with only 4 skewers certainly creates great problem solving skills. And those wanting a future with animals, children, science, and recreation, your time at summer camp with us will boost your experience! Aside from the skills, you get some awesome benefits from working at camp with us. All of our summer staff are paid employees. We also provide housing, meals, a $200 credit in our camp store. Money, money, money! Okay, you’re not going to be rolling in dollar bills at the end of the summer - and if you’re in it for the money you should reconsider. We pay all our first year summer camp staff $2,200 for a full summer with us. That seems like a lot to you - awesome! If it doesn’t, think about it this way. You can work somewhere else (not have as much fun) and make twice as much. But at this “other place”, you’ll need to drive to work (gas $$), you’ll have to grocery shop because you need to eat ( food $$), you’ll be paying rent to live somewhere (rent $$), and when you get off work you’ll obviously want to hang out with friends (entertainment $$). At the end of it all, you probably haven’t made all that much more. At camp you’re saving that money and you can actually use it when you go back to school in the Fall. We are seeking to hire individuals described as enthusiastic, outgoing, positive, creative, bright, friendly, and caring. You should have good communication skills, be self motivated, willing to learn and have a passion for science, animals and children. In order to work with us this summer, you must be able to work for the entirety of our summer season. For camp staff that is May 19th to August 10th, 2019. 1. 18 years of age with a High School Diploma, or the equivalent. 2. Must enjoy being in nature and being around children. 3. Adhere to camp’s drug and alcohol policies. It takes a village to operate a summer camp. Introverts, Extroverts, Thinkers, Feelers, Early Risers, Night Owls - we appreciate all different qualities in all different people. But there is one thing everyone who is working for us this summer should understand: Camp Is For the Campers. Be selfless and care about others’ needs We and parents are trusting that campers’ health, safety, and happiness comes first and is a priority while they are here at camp. Show enthusiasm. Spoiler alert: you will be singing camp songs. Camp is fun and we expect that to be shown first hand with our camp staff. Adhere and uphold camp’s code of conduct and rules. This seems obvious...but working at camp is a job. We expect our staff to take this responsibility seriously and that includes adhering to policies that we have put in place to keep you and our campers safe; respecting the facility and your co-workers; and being a role model to campers. Walk/travel several miles each day. Looking for a reason to get in more steps? This is the place! We expect staff to be able to handle the activity that camp requires. While you won’t be extreme hiking every day, you will be walking several miles a day around camp doing day-to-day things. Enjoy and handle “being outside”. You will be both in and outdoors while at camp, but many of the activities of camp are outside. You should be able to work with sun exposure, temperature fluctuations, bugs, campfires, etc. Love and appreciate animals of all kinds. You’re looking to work at an ANIMAL CAMP! While we do not expect staff to be comfortable with handling all of camp’s animals , we expect staff to show interest and appreciation with all animal species. Not all team members will be working with animals and instructing in our animal area, but all team members should know that animals are a huge part of our program. Each member of the team has 2 scheduled days off a week. One day will be a day determined early in the summer season that coincides with your teaching schedule. The other day off is the Saturday after our all staff meeting. You will also have two, one-hour breaks each day to relax and escape the heat and sounds of camp. Your time off is important to us. 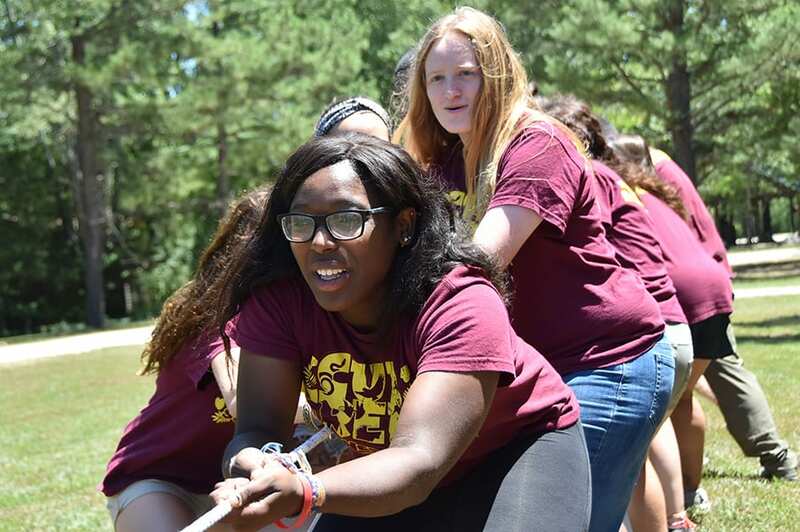 We want staff to have a chance to rest and recharge to help make the most of their experience at camp. This is a good place to reiterate that if “how many hours you will be working” and “time off” ranks high on your list of important questions, perhaps camp is not for you. Remember that Camp is for Campers and that your main focus here is the health, safety, and happiness of the campers who spend their summer with us. That means that getting up with your campers to be on time for breakfast is a part of your job along with taking them to the Nurse if needed in the middle of the night, taking them to a fun early bird that starts at 7 am or a night dance party at 9 pm, or even staying up late to decorate the cabin for a campers birthday. We are hiring summer camp counselors for 2019! You will find the application to camp in our “Current Openings” or with the button right over there. Our summer camp counselors are also instructors, ropes course facilitators, lifeguards, and assist in areas around camp. You will find a space in the application to mark areas of interest to you. Please know that positions like Animal Specialist, Photographers, ASIT Leaders, Village Leaders, etc are considered “Out of Cabin” positions and are typically reserved and offered to returning staff members. This person assists with the administration of first-aid and works along side camp’s Nurse to provide top-notch care for campers and camp’s staff team. No experience necessary, but passion or future aspirations toward the healthcare field is desired. We have a wonderful camp store filled with toiletries and fun goodies for campers to enjoy during their time with us. We are looking for someone to help assist of Camp Store Manager with shelving, stocking, and sales. Must be organized and self-motivated; No retail experience necessary, but appreciated. Camp’s Kitchen team works hard to provide healthy and enriching meals to our entire camp family; Feeding 350 people over the course of the summer is no easy feat! For all applicantants applying in their first year working at Cub Creek, no matter the position, please use the “New Summer Staff Application”. Our goal is to respond to every application within one week. If you have not heard from us within one week, feel free to send us an email to confirm receipt and the status of your applications. We appreciate you considering working with us. We are looking for people whose goals line up with our mission. When this happens, we believe great things are possible! 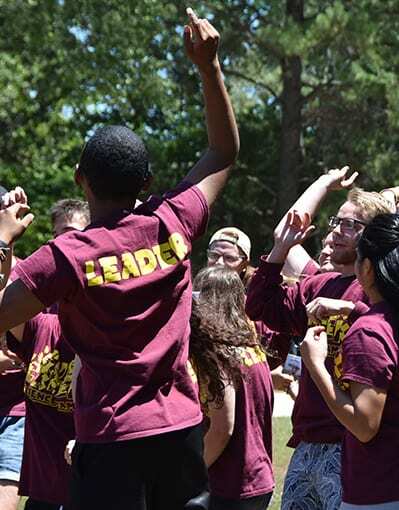 If you’re wondering if camp would be great for you, but you just have a few more questions, reach out to us! You can use the "More Information" Button below to submit a question or just give us a call!